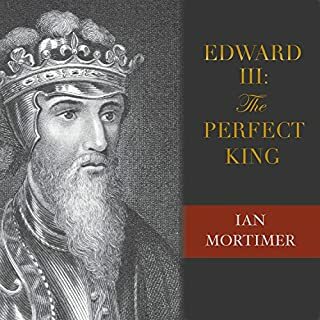 Holding power for over 50 years starting in 1327, Edward III was one of England's most influential kings and one who shaped the course of English history. Revered as one of the country's most illustrious leaders for centuries, he was also a usurper and a warmonger who ordered his uncle beheaded. A brutal man, to be sure, but also a brilliant one. 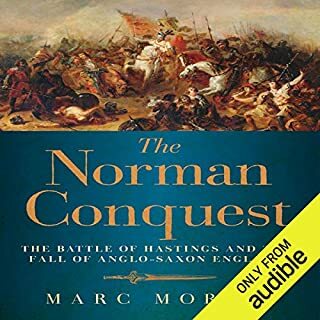 In The Normans, Lars Brownworth follows their story, from the first shock of a Viking raid on an Irish monastery to the exile of the last Norman Prince of Antioch. In the process, he brings to vivid life the Norman tapestry's rich cast of characters: figures like Rollo the Walker, William Iron-Arm, Tancred the Monkey King, and Robert Guiscard. The Normans presents a fascinating glimpse of a time when a group of restless adventurers had the world at their fingertips. King John is familiar to everyone as the villain from the tales of Robin Hood - greedy, cowardly, despicable, and cruel. But who was the man behind the legend? Was he a monster or a capable ruler cursed by bad luck? 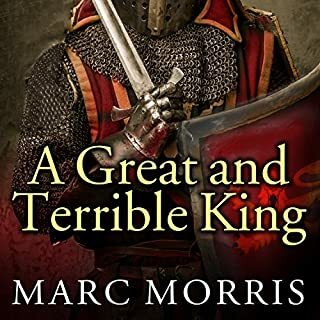 In this new book, best-selling historian Marc Morris draws on contemporary chronicles and the king's own letters to bring the real King John vividly to life. John was dynamic, inventive, and relentless but also a figure with terrible flaws. Marshal was the true Lancelot of his era - a peerless warrior and paragon of chivalry. As a five-year-old boy, William was sentenced to execution and led to the gallows, yet this landless younger son survived his brush with death and went on to train as a medieval knight. Against all odds Marshal rose through the ranks - serving at the right hand of five English monarchs - to become a celebrated tournament champion, a baron and politician, and, ultimately, regent of the realm. This knight's tale lays bare the brutish realities of medieval warfare and the machinations of the royal court and draws us into the heart of a formative period of our history. It is the story of one remarkable man, the birth of the knightly class to which he belonged, and the forging of the English nation. Credited as the very embodiment of chivalry in a time with the concept was just coming into its own, William Marshal was very nearly executed at the age of five yet would go on to serve as the backbone of the Plantagenet dynasty. He would rebel against kings, serve alongside kings, go on Crusade, and become instrumental in the signing of Magna Carta. By any measure, this man is a legend in the annals of knighthood, England, and the whole of the Middle Ages. This new biography is nothing less than impressive. 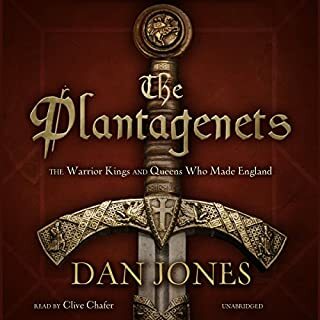 While it does help to have some background knowledge of the Plantagenet dynasty and its key players (I highly recommend Dan Jones' The Plantagenets: The Warrior Kings and Queens Who Made England), the great thing about this book is that it does stand on its own for those who are just dipping their toes into this part of history. This means it works very well as both an introduction to the man and his times and as supplemental reading to other works. It's an easy read, but it's by no means lightweight in its approach. 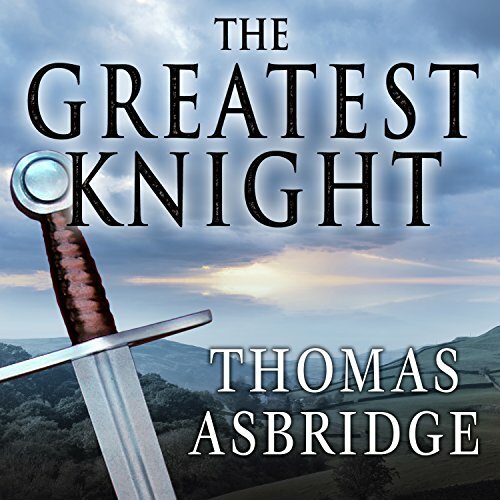 The result is that the Greatest Knight steps out to shine as one of the most respected men in history, fully accessible to modern readers some 800 years later. 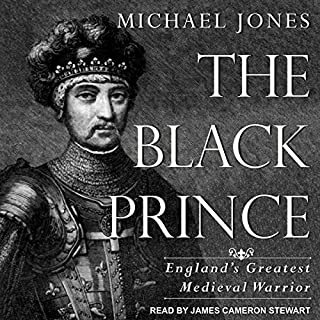 the rarity of a volume about an average man who broke the rules of the Middle Ages to become a figure of myth and greatness. Thus the focus is on some people and incidents that do not get much attention. Such as the details between Henry the second and his battles with his sons rather than the killing of Thomas Becket. Worth the time. This is the incredible story of William Marshal who rose from hostage who escaped execution as a child to renown knight to navigating deadly political waters. During the course of his life he served 5 kings and was known for his loyalty. In his lifetime he was known as a fierce warrior and he helped shape the chivalric code of knights. The author does an excellent job of describing medieval life, especially of knights. William Marshal's life encompassed the reigns of Stephen through Henry III. William was larger than life. I recommend this book to anyone interested in medieval European history. The narration is excellent. Derek Perkins did a wonderful job. 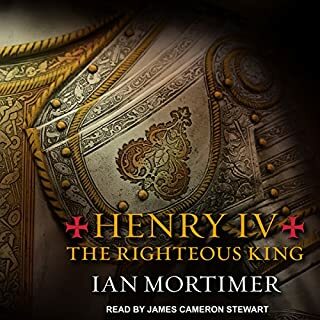 Sometimes I shy away from history audiobooks because too often the narration is dull. Mr. Perkins kept the pace interesting. This is a great read. The historical points are well researched and approached from multiple sources to provide as clear a picture as possible about William Marshall's life. While no one can be perfect, Marshall was a prototype of chivalry, courage, and loyalty and his story is fascinating. It's difficult not to give this 5 stars just because of the astounding subject matter, but it really is an extremely well-done book and a great performance in the audiobook reading by Derek Perkins. Ashbridge provides abundant and detailed information about, not just the life of Marshal, but the surrounding geography, politics, culture, and world events of Marshal's time which set the stage and draw the reader into the incredible life of this man. Unlike many other authors, Asbridge doesn't pull punches and makes our hero "real". He examines Marshal's words and actions in light of the times and culture in which he lived and give him a very fair and balanced assessment. Notwithstanding, the more we discover about Marshal's life and achievements, the more he stands out and truly shines. Asbridge creates a detailed, extremely-well researched, and colorful tale that is as enjoyable as it is enthralling. His vocabulary and command of the English language shines in this work always seeming to find the right words to convey the story. Perkins' delivery is also outstanding. His voice, British accent, delivery, and style are a joy to listen to and serve to hold the listeners attention despite the length and breadth of this work. Thoroughly enjoyed this audio book. First, it is a great story. Second, it is very well written. Third, the organized writing makes it easy to follow in audio. And fourth, the narrator is great. If you've ever wondered what being a knight really meant throughout most of the middle ages, this is your best source. Luckily, it's amazing and complete!